It’s reasonable to expect your roof to last for 30 years or more. However, there are many factors that will affect the longevity of your roof, including the type of roof you have, where you live, and maintenance. The National Roofing Contractors Association states you should expect your roof twice each year to ensure that you have no problems. But, what should you look for when you are assessing your roof? The following are tips for you to ensure you complete a thorough roof inspection before you call your local roofing contractor. Tip #1. Look for problem areas on your roof. 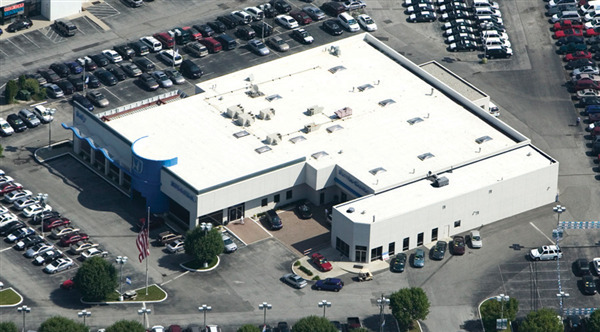 Your roof protects your business from the top to the bottom. Areas within your roofing that allow rain, snow, and air to slip through threaten your business’ structure. You should inspect your roof for loose shingles and shingles that are damaged. You should also examine your business internally to see if you can see light streaming in through your roof. Tip #2. Check your roof’s drainage. Standing water on your roof is a problem for your business as well. If it isn’t fixed, standing water can lead to a litany of problems that can wreak havoc on your interiors. During your roof inspection, you should make sure that your roof is draining properly, including checking your gutters and downspouts. If you can, remove any debris that may interfere with the performance of your drainage system. Tip #3. Look for mold. The final step to ensuring that your roof doesn’t need repairs is checking for mold. When moisture is allowed to get into your business, you may find black mold throughout your business. Black mold in your ceiling is a sure sign that you may have a roof leak.If you’ve noticed some roof damage in your inspection, then you should contact a local commercial roofing specialist immediately. They can easily assess the extent of the damage and give you a quote for the repairs.